Congratulations to our 2010 Distribution Story Contest winners! Each winner will receive an Amazon.com gift card and free copies of our February 2011 edition. You can view the top three entries below. Thank you to everyone who participated! This contest gives us a better perspective of our distribution process, and is rewarding for everyone at The Undercurrent, from the writers, to the donors and staff members. Hearing about the great ways in which the paper is being distributed lets us know how we are reaching young minds. 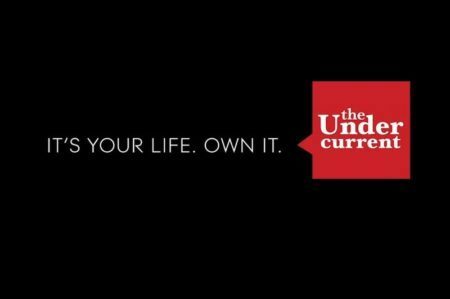 The Undercurrent will hold another Distribution Story Contest in the Spring 2011 semester. Send us your anecdotes and pictures about distributing TU for another chance to win free copies of the paper and Amazon.com gift cards! More details about the Spring 2011 contest will be coming soon. Every summer, LOGIC (the UCLA Objectivist Club) participates in the Enormous Activities Fair, where almost all thousand-something clubs set up tables on one of UCLA’s large fields and advertise their clubs for the upcoming academic year. In Summer 2010, in addition to distributing some 360 copies of Atlas Shrugged, we also gave out a large stack of The Undercurrent, which helped us to get several hundred signups on our email list. Although I am an alumnus, I still maintain a membership at the John Wooden Center, UCLA’s gym. After an hour of lifting, I often enjoy relaxing in the gym’s sauna, and I always bring in a copy of The Undercurrent from the stack I keep in my locker for this purpose. (It’s also convenient to have a stash readily available on campus, should any need arise!) Late in November 2010, while I was still in the sauna, a student came in and picked up the copy that I had left on the bench. For the next 10-15 minutes, he read Noah Stahl’s front-page article, “You’re Not Welcome Here”, with great interest. Needless to say, I was quite pleased! For the past year, I’ve been distributing The Undercurrent on my school’s campus and wanted to share my experience. When the issues come in I bring them with me to class, and it takes me literally 15 minutes to leave stacks around campus at various hot spots. For the fall issue this year, I was walking through the Nursing building three weeks after distributing it and I spotted someone sitting there reading a copy. It put a smile on my face and definitely renewed my determination to keep distributing The Undercurrent. 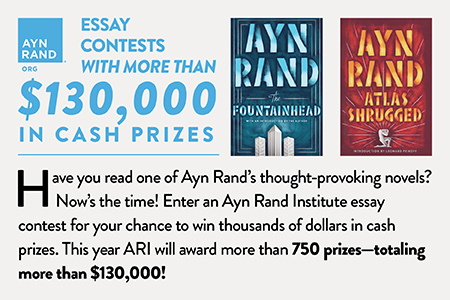 A few bucks and 30 minutes of my time each year for supporting Ayn Rand’s ideas on campus? That’s hard to beat for a return on your investment. My favorite tactic, when distributing The Undercurrent at tea parties, is to approach a lady and say, “Are you a college student?” Invariably they smile and say no, because there are very few college students at the tea parties that I have been to. Then I say, “Maybe you know some college students. I’m handing out a college-level newspaper that is distributed nationwide.” Most of the time they will take it. Now Taking Orders for the February 2011 Print Edition!